Please note that the content of this book primarily consists of articles available from Wikipedia or other free sources online. 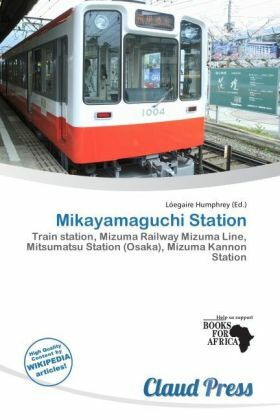 Mikayamaguchi Station is a train station in Kaizuka, Osaka Prefecture, Japan. The Mizuma Line is a Japanese railway line between Mizuma Kannon Station and Kaizuka Station, all within Kaizuka, saka. This is the only railway line of a private railway company Mizuma Railway operates. The company also operates bus services. The company or the line is commonly called Suitetsu. The first section of the line opened in 1925.